Fiat prepares its “old novelty” –The Fiat 500 of edition of 1957. The model will be introduced at the show in Los Angeles, which takes place this month. The first model was produced 57 years ago. The 2014 Fiat 500 is renewed, updated and changed from a gearbox to trims materials. This novelty is available with several special body colors; there is white “Bianco”, light green “Verde Chiaro” and celestial blue “Celeste”. The renewed Fiat 500 gets traditional 16-inch wheels; retro leather interior includes ivory and brown colors (Avorio and Marrone). There are also modern technical changes such as a sports suspension and all-season tires. The car is equipped with the brand’s 1.4-liter engine, which can produce the power of 101 horsepower and the standard five-speed manual gearbox. Besides, this vehicle may be offered a Sport mode, which is available with the six-speed automatic gearbox. 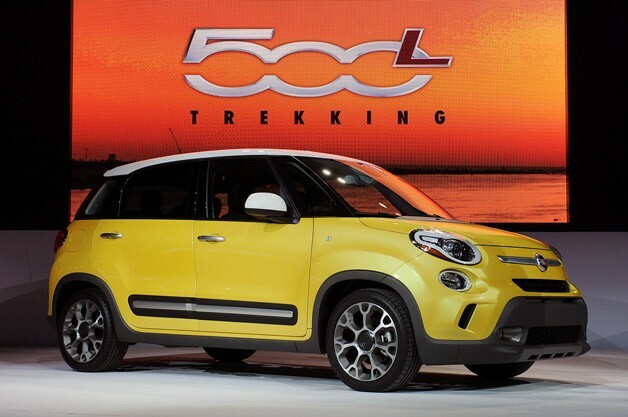 The Fiat 500 1957 Edition will come on sale next year in spring. However, if you want to buy one we recommend hurrying up because the numbers of this model is limited. Did you see the new Mercedes S65 AMG in Los Angeles? What are we waiting for the Los Angeles show this year?